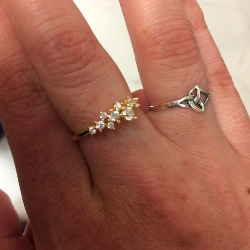 We don’t mean to be oversensitive “snowflakes,” but this snowflake ring is kind of a sore subject for us. See, we distinctly told management that if they got any delicate rings like this in (to go with one we have already) they should give us a heads up. Instead, we’re finding out about it with you and who knows if we’ll even be able to get one. Anywho, enough of our problems: Do you see this ring? 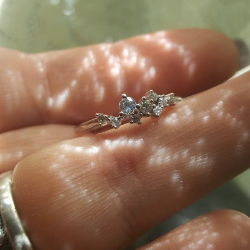 It’s sparkly, dainty, those little heart details? O.K., now we are really mad we don’t have one. –Wait, did you see those baby hearts?!!? 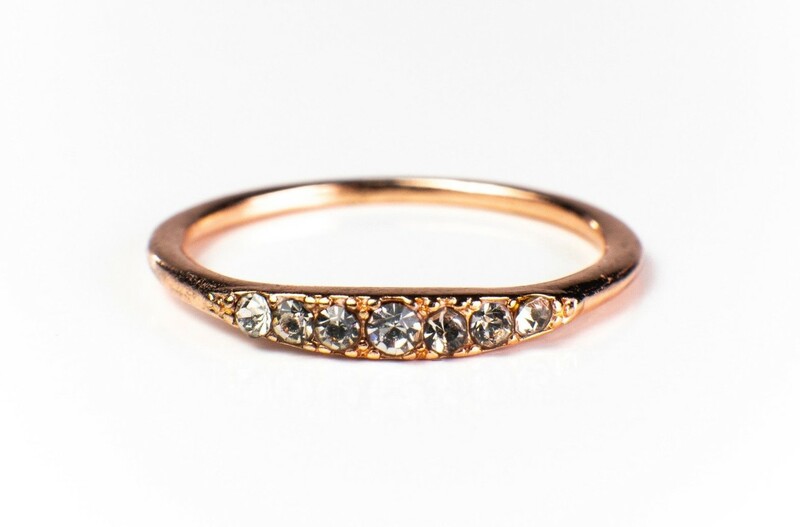 A thick layer of Yellow/Rose Gold Vermeil over 925 Sterling Silver means quality and no more discoloration woes like tarnishing or turning your skin green. To be considered Vermeil, the Gold must be a minimum of 10k and 1.5 microns. We use 18k Gold layered on 925 Sterling Silver. 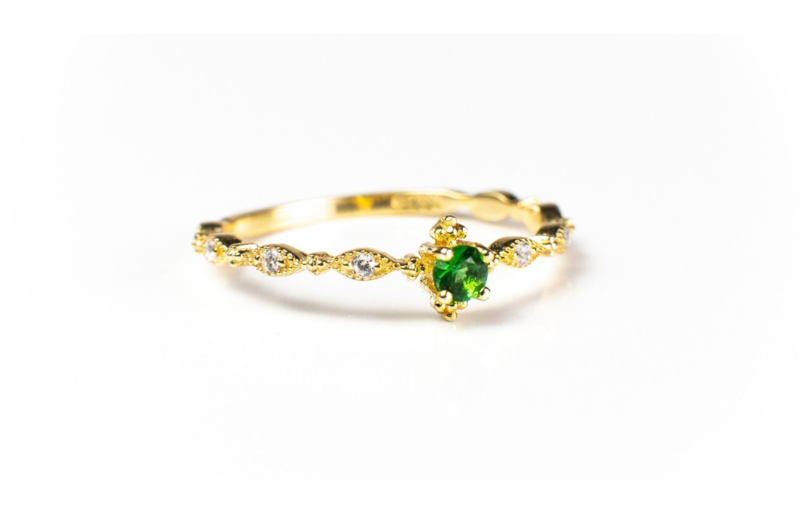 Our pieces look stunning, are exquisitely crafted and yet affordably priced. That way you can wear them as everyday pieces with all kinds of casual or formal outfits without constantly worrying about them. With no middlemen, we can ship our pieces directly to our customers without the markups that come with department store or designer jewelry. Not everyone is a size 6 or 7. We make jewelry for real women with hands of all sizes. 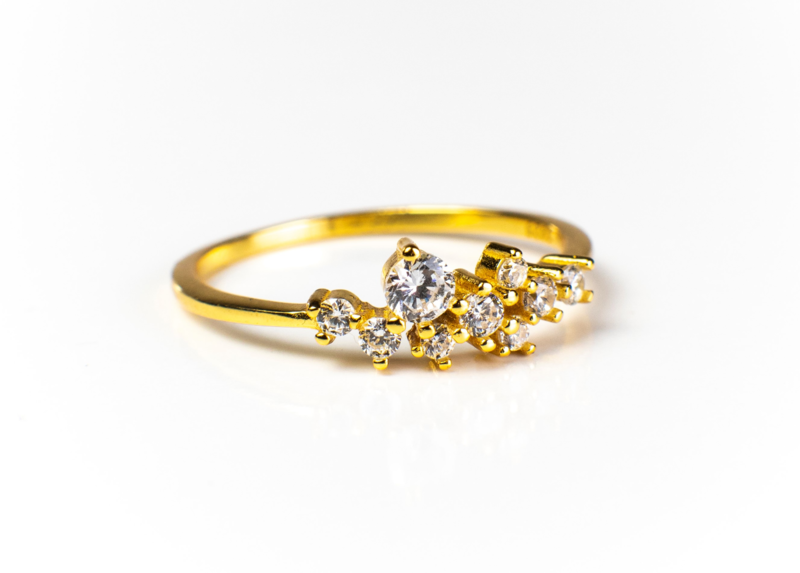 The Sarah Snowflake Ring is available in sizes 4-13. Sarah has never seen a snowflake that didn't make her smile! 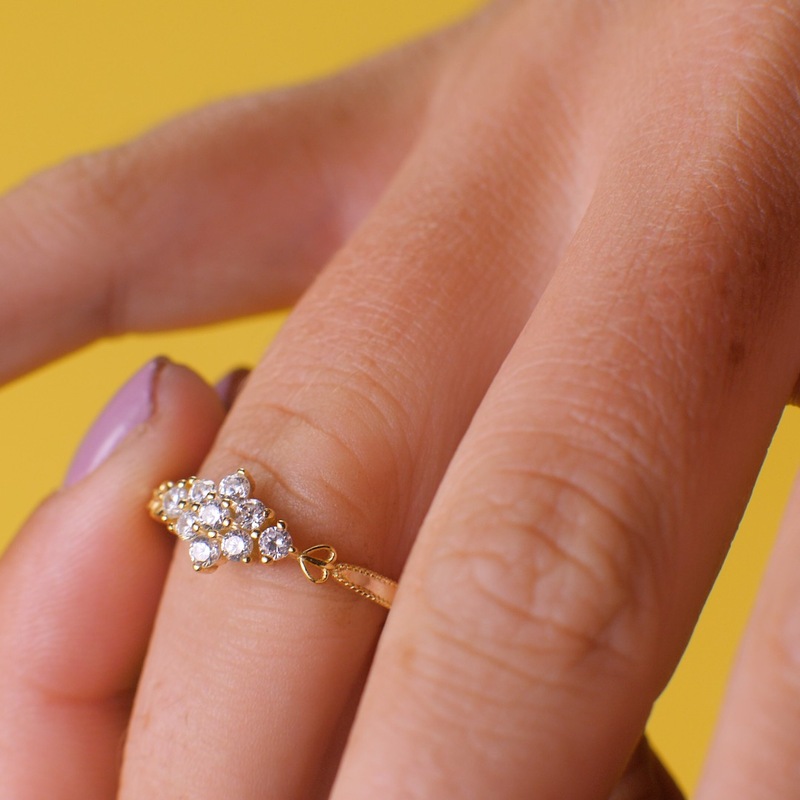 Presented by a cluster of dazzler stones arranged to resemble a sparkly snow crystal, this dainty gold ring beautifully symbolizes the seasonal transition between winter and early spring. No matter the season, the iconic design twinkles and shines like a little shooting star. $7.95 2 Day rush shipping is also available. 99 Day No Hassle Return Policy. Ship it to our warehouse in NY and we'll do the rest. We offer a lifetime fit and quality guarantee. If it breaks or tarnishes, we will replace it free of charge. Visit us on Instagram @blushandbar for more photos and reviews! Every piece of jewelry I’ve received from Blush and bar is gorgeous and exactly what I expected! If you’re looking to up your everyday jewelry-wear, you seriously can’t go wrong. It’s my go-to, and if you give it a try, I bet it will be yours too! Well, to say I was blown away is an understatement! 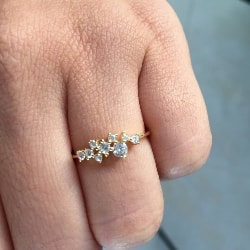 The ring that I ordered is exquisite, and the customer care second to none! I would recommend this company in a heartbeat. 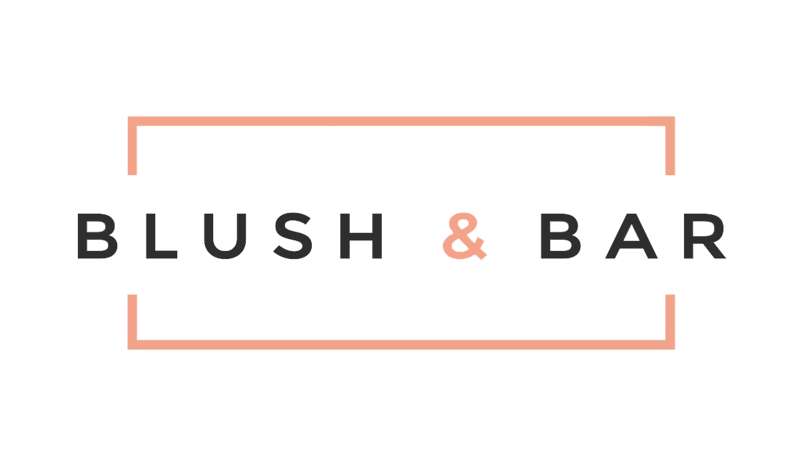 Well done Blush and Bar! 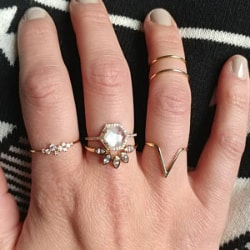 The Sasha Ring is my ABSOLUTE favorite! The perfect addition to any ring party! It is like wearing stars on your finger! ENJOY!! !